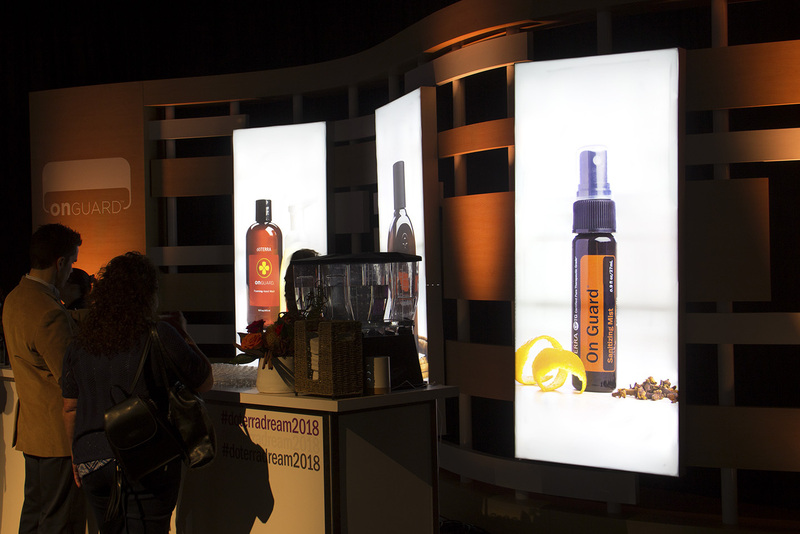 At an event with the goal of leading guests to learn and discover your product, you need show-stopping visuals to get the message across. 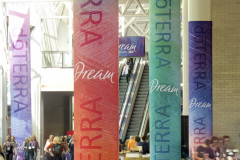 doTERRA understood this and their most recent global convention put that mentality into action! 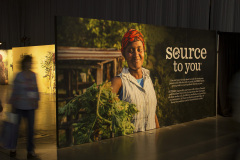 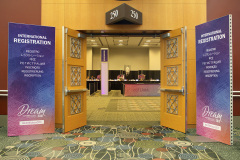 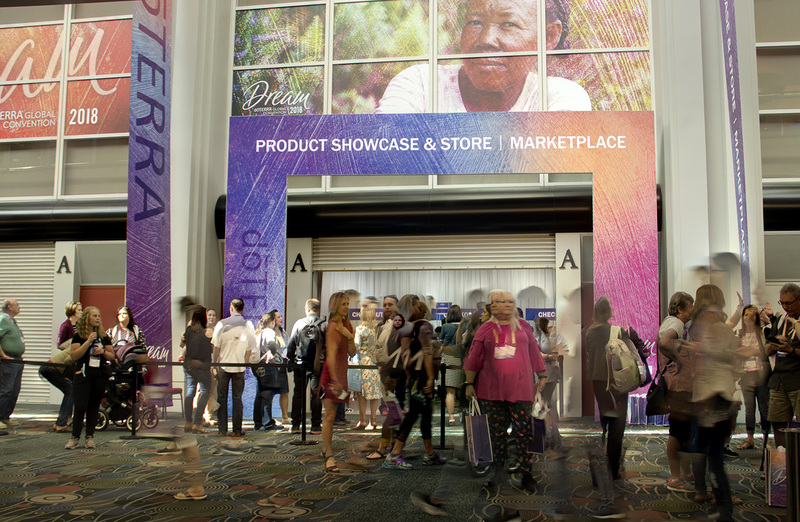 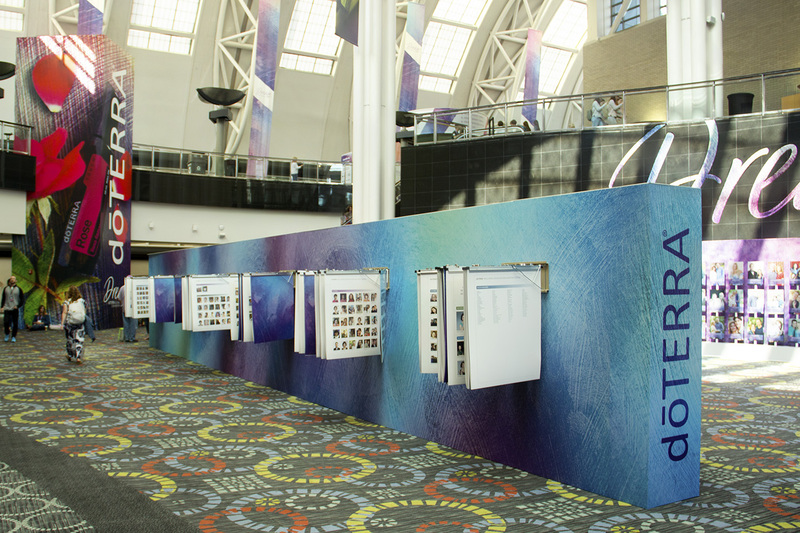 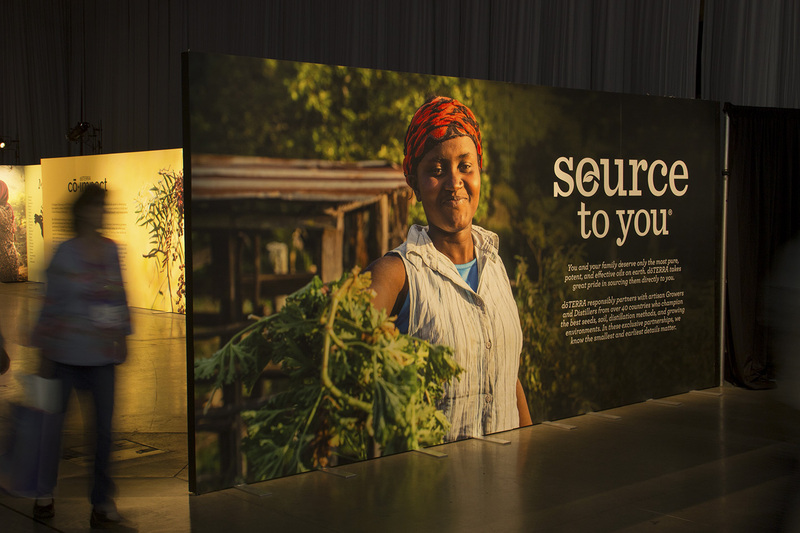 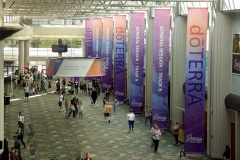 Occupying the Salt Palace Convention Center in Downtown Salt Lake, doTERRA (produced by WebbAV and scenery done by 360) drew in people from all over the world in the name of education and discovery. They created a captivating scene, no matter where you looked, thanks to beautiful graphics and intuitive designs. 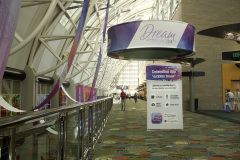 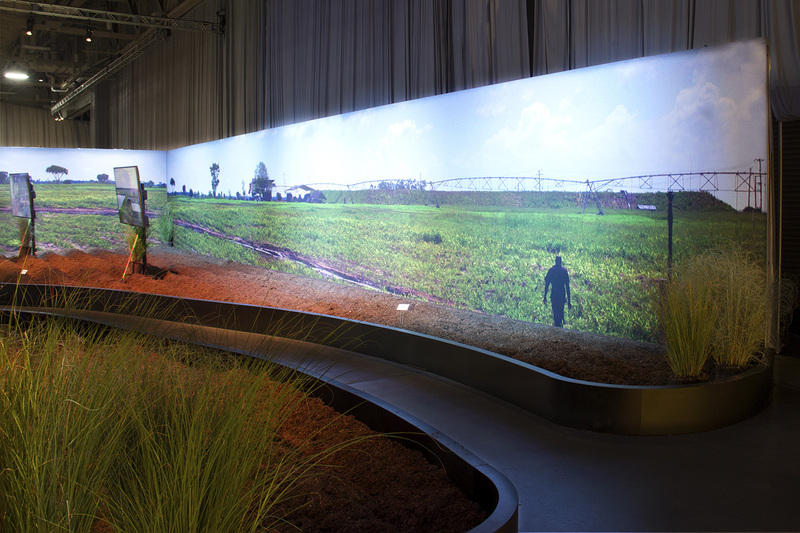 They utilized beMatrix frames, SEG graphics, backlit graphics, and wonderful hardscape elements. 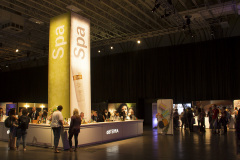 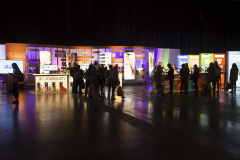 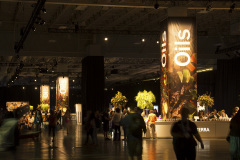 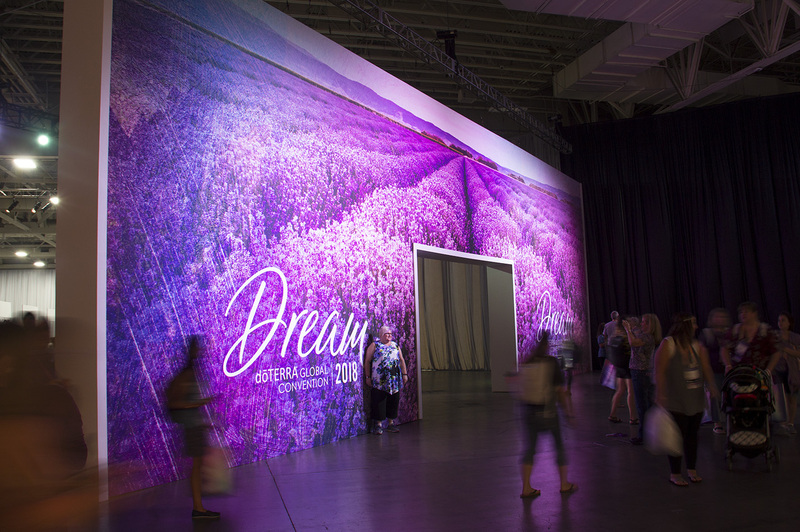 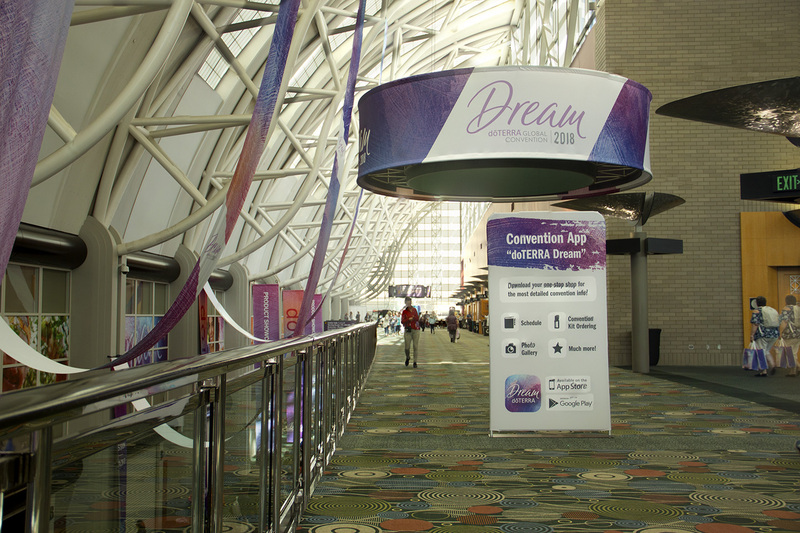 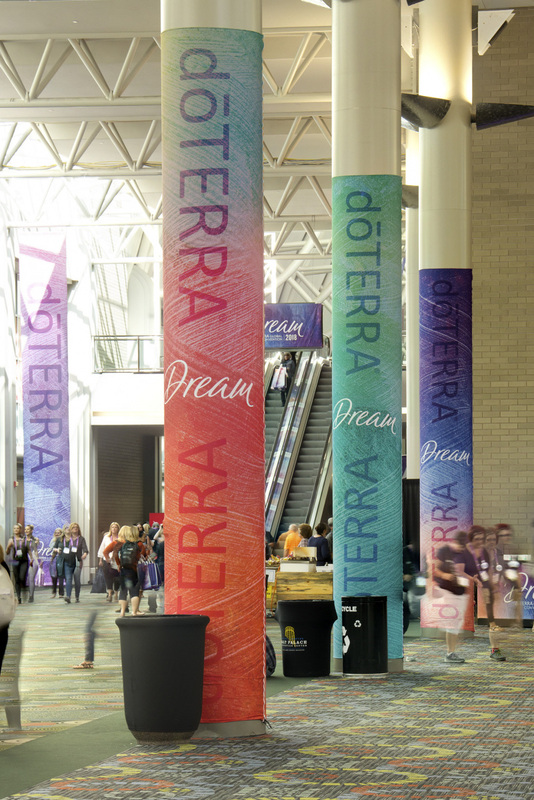 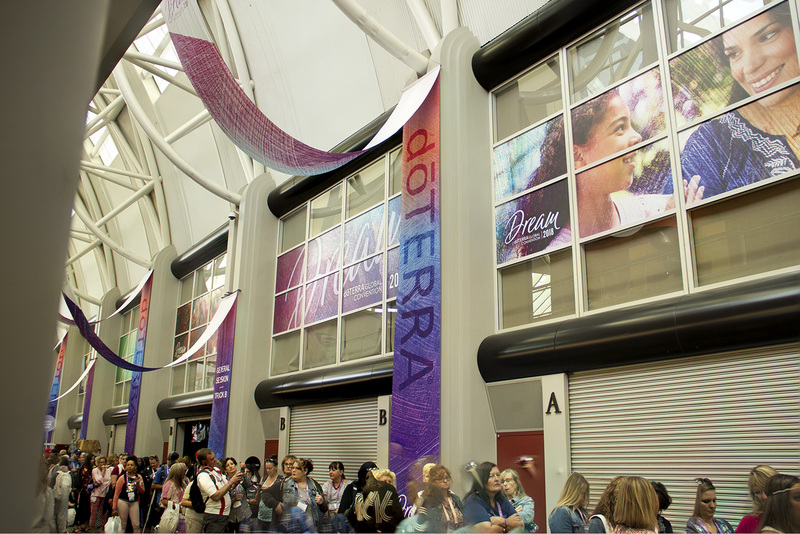 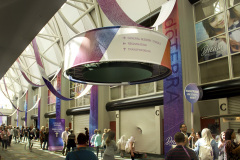 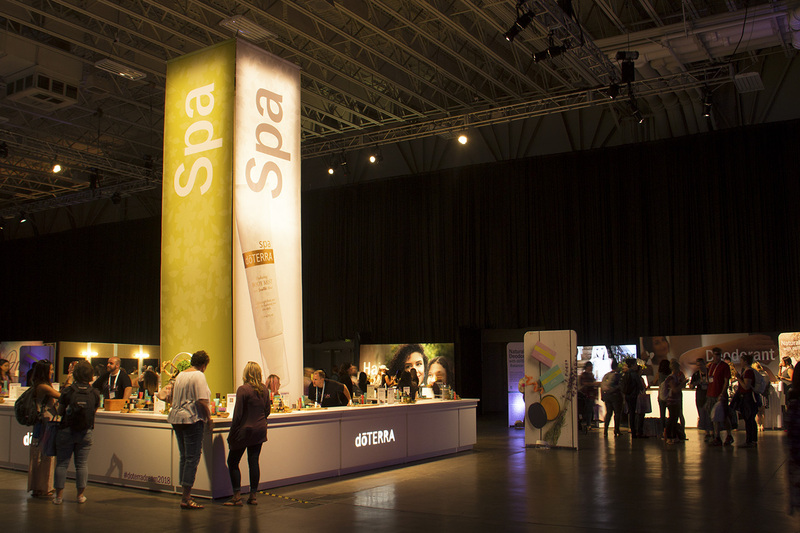 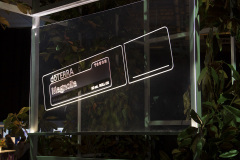 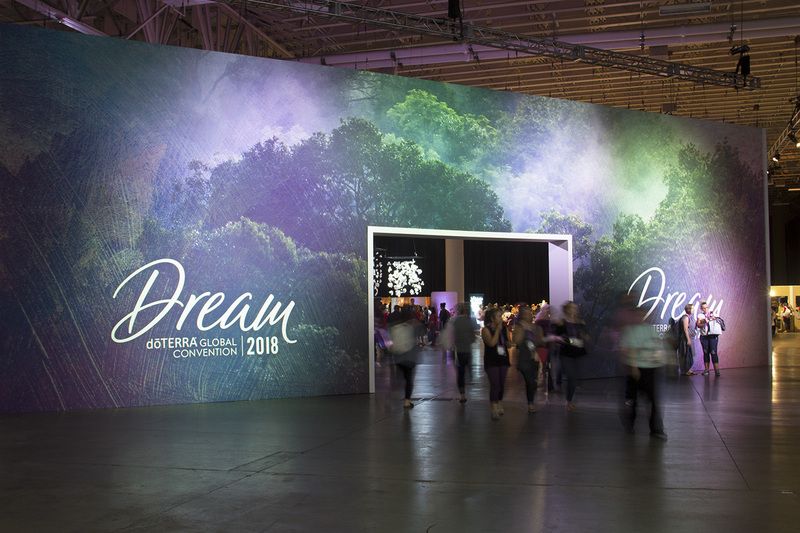 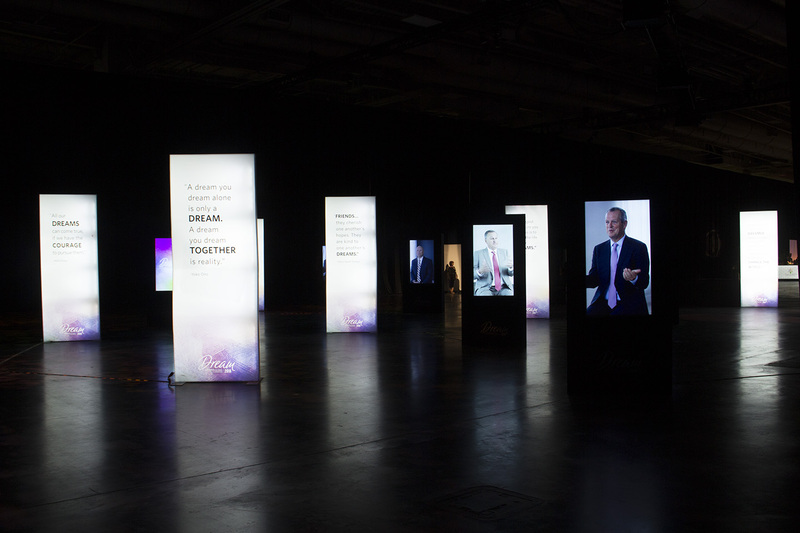 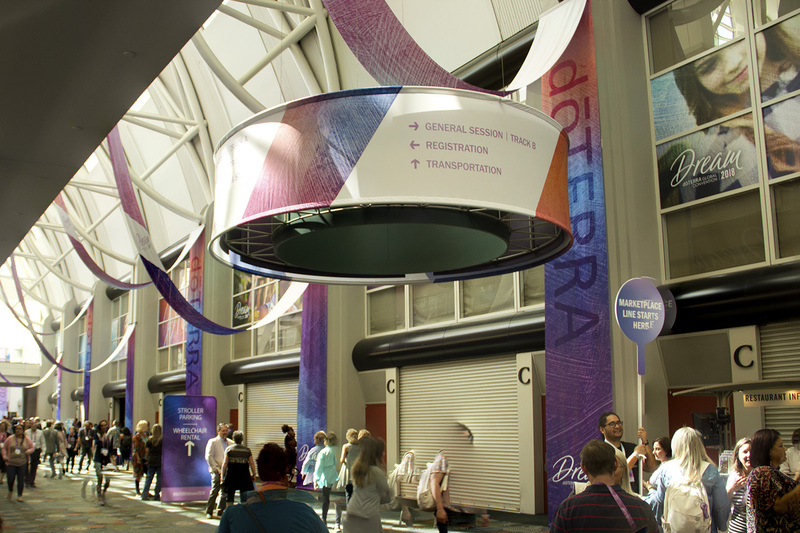 This year, doTERRA did something new at the Salt Palace. 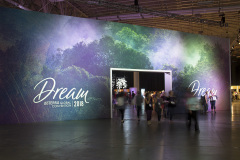 Being a unique company as it is, it came as no surprise to us when they asked us to do something that we haven’t done before. 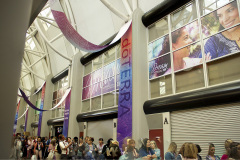 The challenge was to hang banners in a new way from the whale bones in the hallway. In the end, it came out wonderfully and greatly contributed to the overall look of the event. 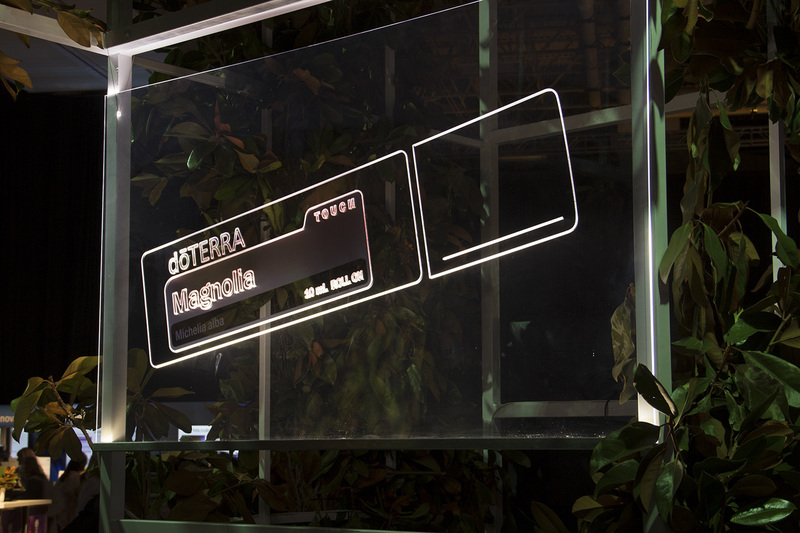 One of the unique pieces we worked on for this event was an etched acrylic piece. 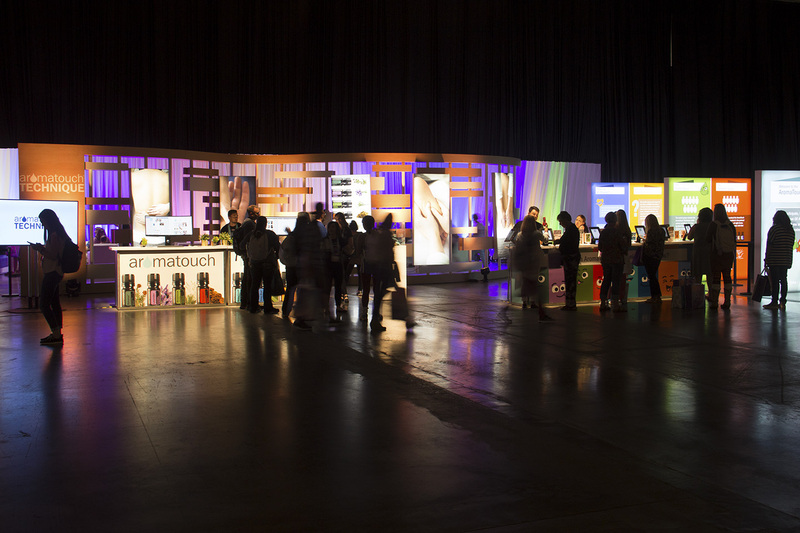 Edge-lit by our partners, it was a standout piece of the show. There was no shortage of creativity at this event, along with new methods, they also employed smart designs. 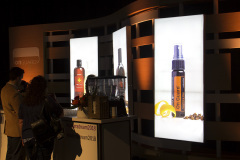 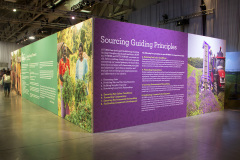 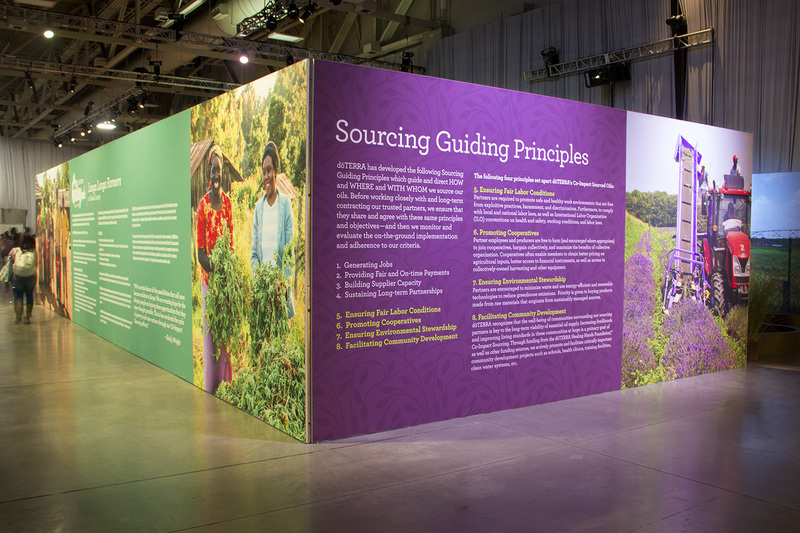 Examples include covering the hanging way-finding with their own and placing more of their own way-finding around the venue – not to mention the backlit standees they used to literally highlight information!